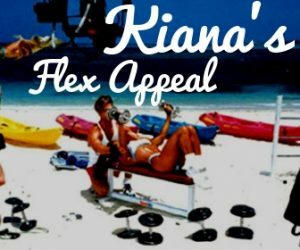 As the Star & Founder of Kiana’s Flex Appeal, I did many public appearances for ESPN and ABC. Disney/ABC Television Group operates Disney’s broadcast television, cable television and radio businesses, ESPN & Walt Disney Parks & Resorts. It’s one big sporty family! Love hosting Kiana’s Flex Appeal and including EPCOT performers such as: Cirque Du Soliel athletes on the shows, working as reporter and host for the X Games and as Emcee for the Governor’s ball in Providence, Rhode Island. 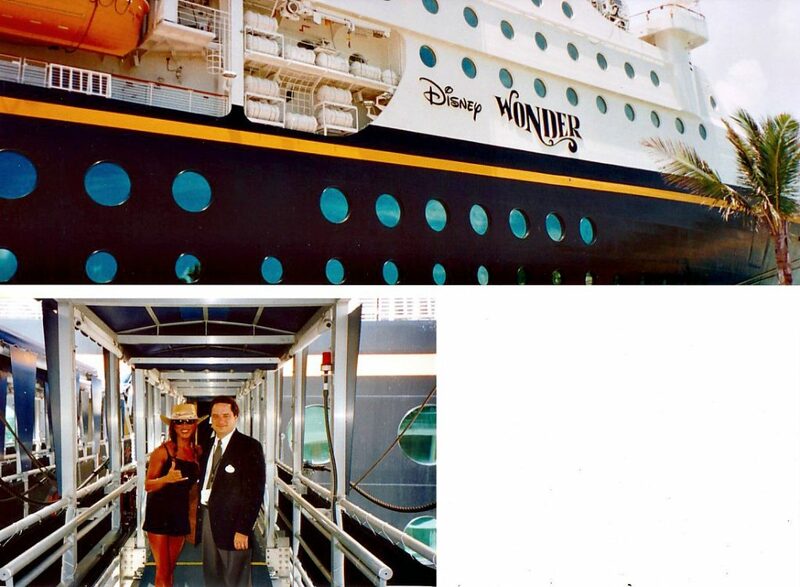 It was such fun to be asked to cut the ribbon for the inaugural Disney Wonder cruise to the Bahamas. I loved doing interviews on the ESPN Zone on the ship and meeting all the passengers! ESPN Zones have many Kiana’s Flex Appeal bikinis and signed posters at ESPN Zones around the world too! 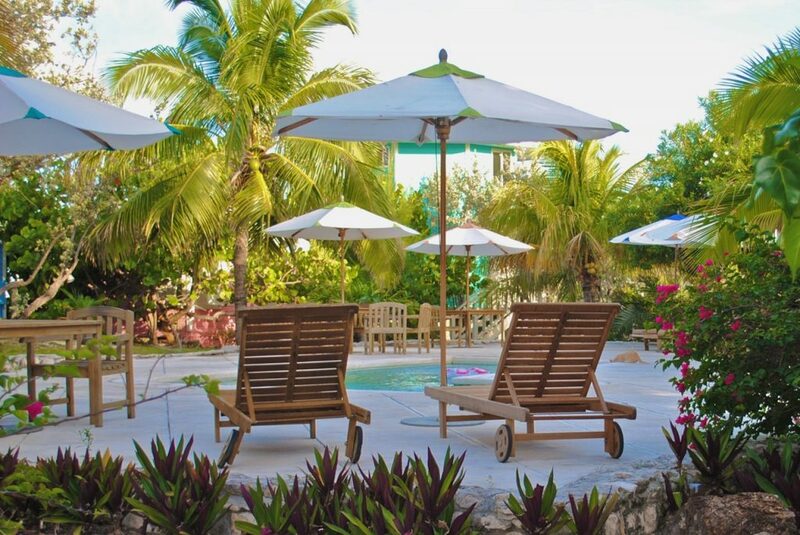 Such fun to travel to Castaway Cay, the exclusive private island owned by Disney, sail catamarans and get massages on the beach. I filmed many Kiana’s Flex Appeal episodes at Epcot, Disney World and Wide World of Sports. 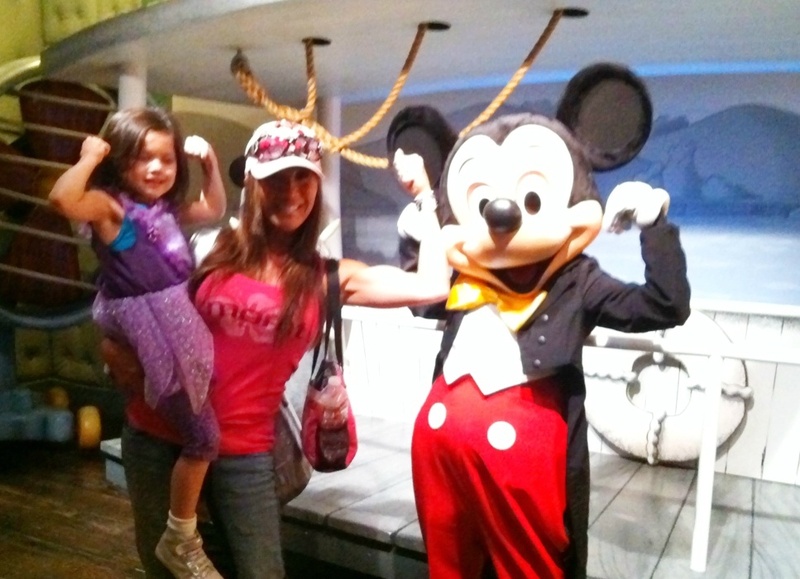 Flexing with Mickey Mouse! Love taking my kids to Disneyland!